A growing body of research compares educational processes and outcomes cross-nationally, but up to now there are only few studies on teachers and their expertise involving more than a handful of countries. Drawing on data from the OECD-Teaching and Learning International Survey the present chapter aims at filling this research gap. 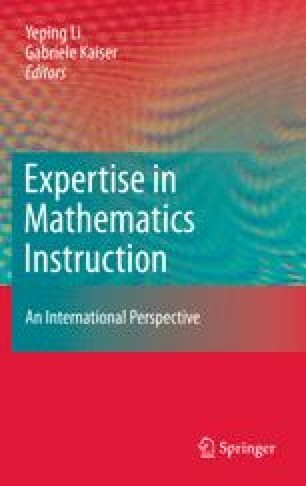 It compares different aspects of teacher quality – namely mathematics teachers’ qualification, beliefs about the nature of teaching and learning and classroom teaching practices – across 23 countries. Results of descriptive and multivariate analyses show the three facets and their subscales to be distinct but interrelated across countries. At the same time significant differences in profiles are observed cross-nationally. The findings suggest both, global and country-specific effects on teacher quality.